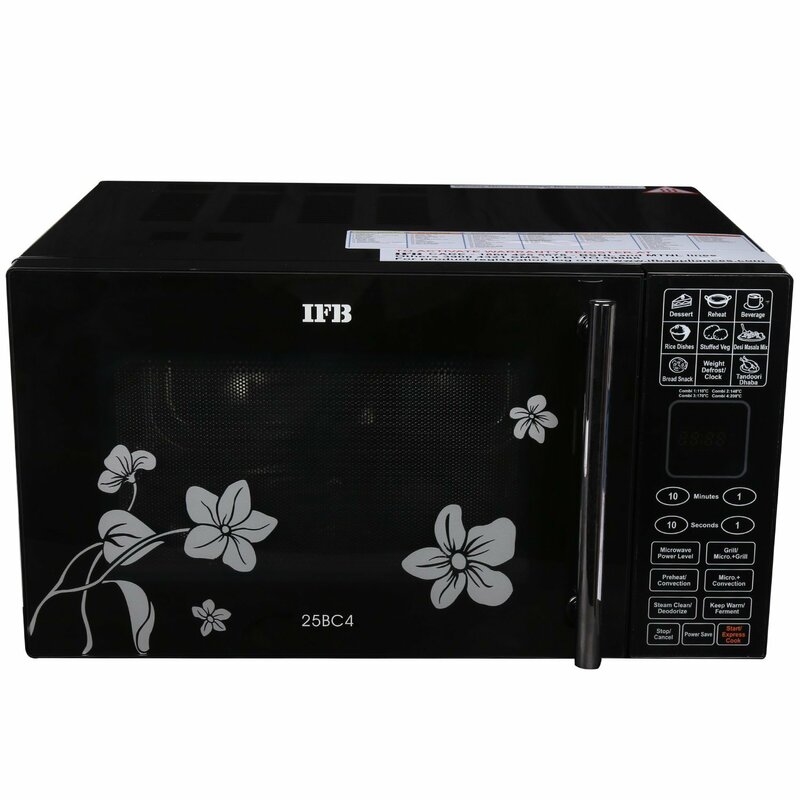 IFB 25BCS1 25 L Convection Microwave Oven comes with stainless steel cavity that is very easy to clean and to produce non-stick foods. 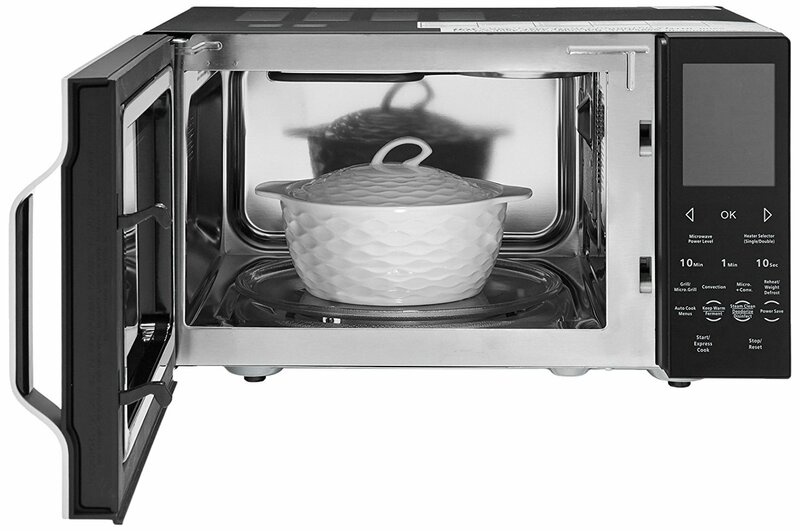 It has LCD display, temperature settings, weight defrost, steam clan, multi-stage cooking, quick start, auto reheat, deodorize, keep warm, power save and many other features. With all these features cooking can really be very easy at home. 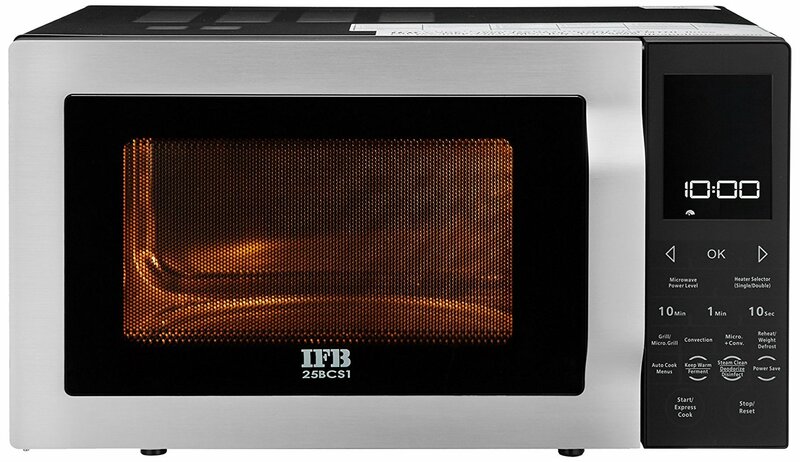 This IFB 25 litres convection microwave comes with great safety controls such as sensor malfunction protection, child safety lock and overheating protection. Amazingly, it has 71 standard menus, so you have too much flexibility to cook foods on your own ways. 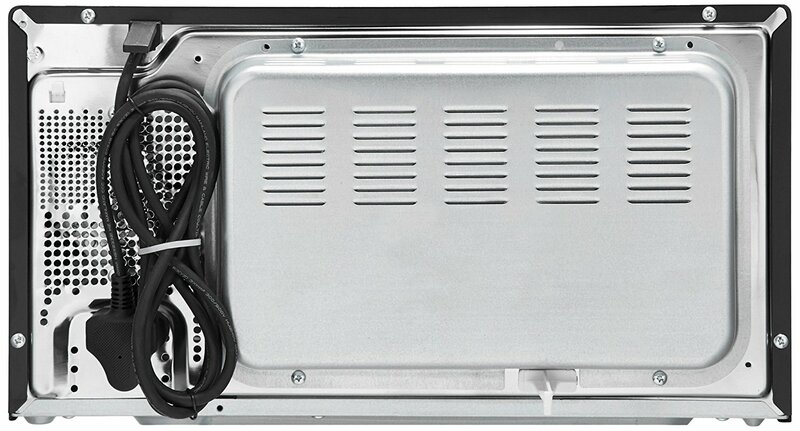 Further, it has 10 temperature levels for customized cooking. 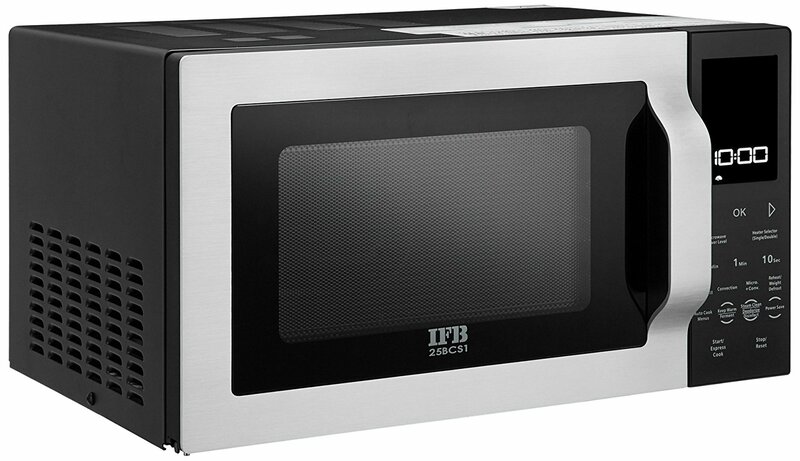 IFB 25BCS1 25 L Convection Microwave Oven lets you enjoy healthy, low-calorie and oil free meals. It has latest fermentation feature and deodorizer features to cook healthy foods all the times. 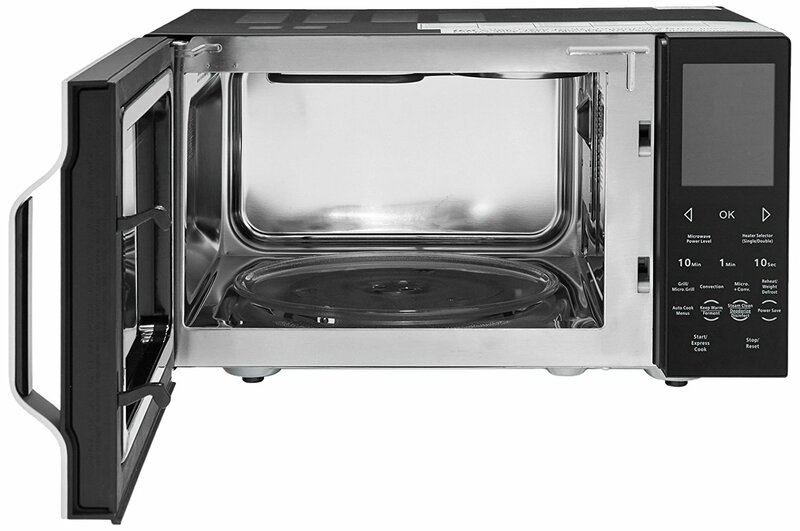 More importantly, this microwave is protected with 3 years of warranty on magnetron and cavity.